Camp El Tesoro offers age appropriate activities that develop social and emotional confidence in campers while they have fun in the outdoors and make new friends. Campers entering Grades 1-5 who are in their 1st or 2nd year of attending El Tesoro will participate in a ‘taste of camp’. Campers entering grades six or above or who have already completed two summers at El Tesoro will select their three activities for the week upon arriving at camp. We encourage campers to select their own activities to help develop the sense of independence they will experience while at camp. Campers are able to increase their skills by advancing through progression levels and are recognized on Friday by receiving their honor beads. All 9th and 10th grade campers attending 13-day sessions have the opportunity to participate as a Torchbearer – a program designed to prepare a camper in becoming a future leader at camp. During the first week the Torchbearer participates in their selected activity twice per day to learn from counselors how to prepare and deliver that chosen activity. During the second week at camp, they then get the opportunity to assist in leading the activity. 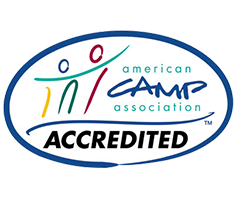 This program has been enhanced to offer advanced skill level instruction in archery, canoeing, & kayaking, challenge course, horseback, and other selected activities such as arts and crafts and drama. Campers will learn more about the program and may sign up for their Torchbearer choice on arrival at camp.